Why should companies integrate a customer loyalty app? Why should develop a customer loyalty app? Many companies wishing to increase customer loyalty and attract new clients, want to find a solution to meet these goals. A simple and effective way is a custom mobile app development that would provide users with certain benefits and connect both you and your customers. In other words, to create a loyalty program and use a mobile application as a tool to complete it. Why custom mobile app development to increase customer loyalty? Satisfied customers spend 3-4 times longer with your brand, what means customer higher retention rate (they return to you more often), higher average check (loyal customers spend more than general ones), increased brand recognition (brand awareness is raising), and higher income of your company. Thanks to mobile applications your clients will be motivated to buy more. An interesting fact: mobile app users purchase higher-margin items and have a check size 30-40% higher than one of the clients with no loyalty app. People visit their favorite stores, beauty salons, cafes, and restaurants 2 times more often, if they are provided with quality customer service which include a mobile loyalty app, well-trained staff, quick response to comments, emails, requests, and personalised approach to clients. Advantages of customer loyalty apps. What do they allow? A mobile loyalty app is the best way to get in touch with your customers, improve customer service, and boost sales. Today everyone has a smartphone, carrying it out at hand, installs multiple mobile apps, and makes some operations via them. Integrate a mobile application of your company, engage application users with interesting and useful content, provide them with exciting offers like shares, discounts, point collection system, and success will come. Remember everybody enjoys gifts and freebies, and if a customer gets an offer of his / her favorite shop to buy some clothes and receive a cool gift, the answer will be “yes”. Custom mobile app development allows to connect with the customers. Implement a news feed and post engaging posts like “10 unique recipes from our chief cook”, “10 trends of the season”, “How to make beautiful make-up for the evening”, “How to quickly get an insurance”, “8 amazing summer destinations for your family”. Providing useful content leads to increased brand recognition as well as user engagement and customer retention rates. Allow your app users to leave comments to goods, services, and companies, put likes and dislikes under posts, connect with your company with one or two clicks (a bright button “Call” / “Send email”), and share content. This will help you gather feedback, immediately respond to bad comments, and eliminate customer negativity. Enable mobile loyalty app users to invite friends in the application, offer points for each new invited user. Send your app users push notifications, make them smart. Personalization is a key to success here: integrate analytical tools in the app in order to send customers personalized messages, also remember about remarketing great opportunities. For example, a user who looked through dresses and put one into cart, but didn’t buy it, will receive a message about discounts for a new collection of dresses. Analytical tools implemented during custom mobile app development will enable you to understand your customers and determine the target audience. To find out needs and preferences of your current and potential clients is the step one to sales enforcement and increased customer loyalty. A sure-fire way to get the deepest customer intelligence is to set up beacons and make their conjunction with a mobile loyalty app. It will open the doors for exploring buying habits, customer behavior, needs and preferences, and will enable to automatically send push notifications tailored to each particular app user. You can also use beacons to navigate customers inside buildings. Find more information about this technology in one of the recent posts “4 Challenges businesses can solve with beacon employment”. What are the most essential features of a mobile loyalty app? 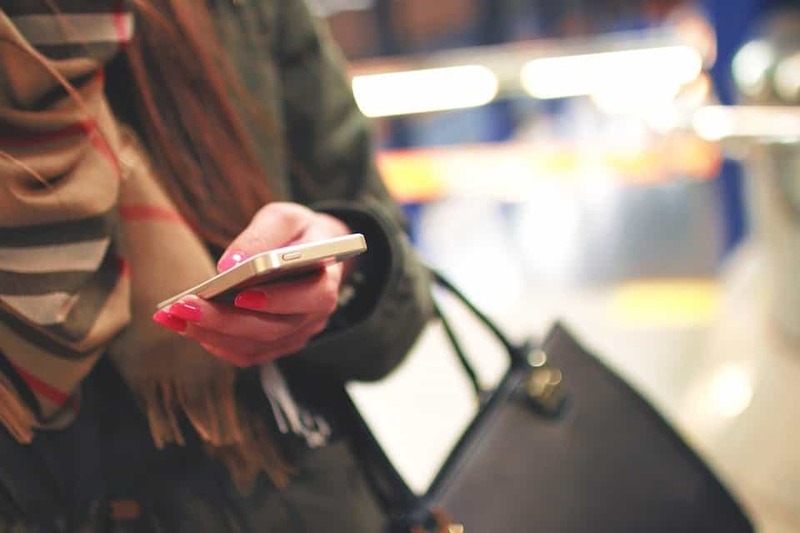 Effective push notification system – the implementation of mobile analytics and beacons will allow to deep into customer behavior, buying habits, segment the audience, and send personalized messages. Point-collection system – make it as simple as possible. QA codes – a simple way for customers to get shares, discounts, and collect points to change them for gifts. News feed – post engaging and interesting content. It will help you increase customer loyalty and return clients. Admin panel – a must-have feature that enables managers to create posts, messages, and respond to user emails, comments, etc. Catalog of goods and services – fill out the catalog so that users can look through your offers via app, remember to update it. GPS-navigation – implement GPS-navigation to show customers the shortest way to your company. Payment gateways – today many people make payments via apps, so don’t be an exception. The integration of this feature will add real value to users. To sum up, most companies, from stores and cafes to banks and travel agencies, understand the benefits of customer loyalty solutions and taking care of their clients. Today you can rarely meet a restaurant without a mobile application with a loyalty card. In our modern world tools for increasing customer loyalty have become a must-have to stay competitive. So, apply to a reliable custom mobile app development company to get smart recommendations to reach your project goals and build a successful application.